Front compartment acts as a wedge which inhibits the occurrence of shear forces. Opening air valve allows cushion to be formed to each individual user. 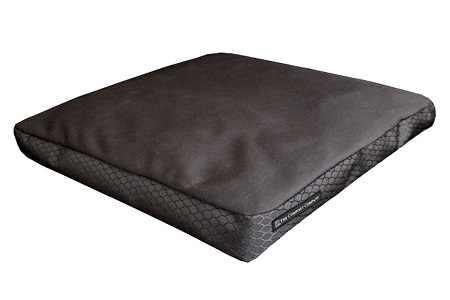 Lightweight, easy-to-clean cushion is stable and reliable. Two compartment design diminishes the tendency of users to slide forward. Lifetime Warranty on this product. combination contour to each individual user.